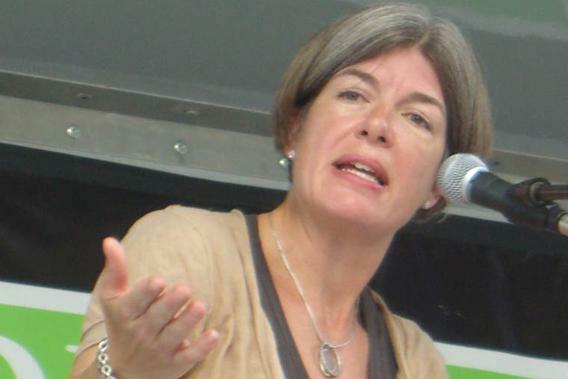 Novelist Claire Messud, author of “The Woman Upstairs,” says interviewer was sexist. Was novelist Claire Messud right to imply her interviewer was sexist? In the latest fracas over literary sexism, Claire Messud objected to a comment an interviewer made about whether she would want to be friends with the main character of her new novel, The Woman Upstairs. Messud does not say overtly that her interviewer is being sexist, but she implies it, by listing male writers who would never be asked that question (and tacking on Alice Munro “for that matter” to make it clear that her list had been about men). One first has to admire her crankiness with the silliness of the question. It was silly, though perhaps not wholly sexist, and perhaps not as silly as Messud so fiercely, so eruditely, claims. A certain prickliness on the part of women writers is currently fashionable: There is a simmering outrage that somehow they are not being treated well by the industry (an industry that arguably is not treating anyone as well as it once did). Still, I have sympathy for Messud’s position. When I wrote my first book, I was interviewed and asked things I thought no one would ask a male writer. Not one but two male interviewers from respectable newspapers asked me how many people I had slept with. One female interviewer in England took one look at me and wrote about the fact that I hadn’t eaten breakfast directly off the plane and speculated that I might be anorexic. Another writer mused in The New Yorker about whether or not I was a nice or warm person. The response was very personal (very much along the lines of “do you want to be friends with this person?” now that I think about it). I thought to myself with some amount of satisfaction, of pleasing or reassuring outrage, that none of this would been written about a male 24-year-old writer trying to express his views. The problem is that I was only partially right. I had written my first book partly in the first person; I had drawn on my own experience in a way that I thought was sophisticated but was actually, I can see with the benefit of the years, a little unnuanced. I can see now that if I had deployed a shrewder, more elusive, more Joan Didion-esque “I” it would have been harder, and certainly less justified, for these writers to launch the personal ad hominem attacks they did. I invited them; I let them in, not by writing about myself, but by the way I wrote about myself. I could have protected the book and my ideas better with a little more craft, a slightly more stylish or strategic writing style, but I was young, and I didn’t. I only bring this up to say that I see the seductions of turning on interviewers (and sometimes interviewers ask stupid questions, as this question Messud was asked undoubtedly was) and I admire Messud’s spirit—her willingness to be not nice or unfriendly herself, understanding full well the risk of seeming defensive or oversensitive. But the tendency to blame the world for a blanket, raging sexism that only partly exists, to put off on the publishing industry, or the sexism of an interviewer, or the editors of this magazine or that one, is perhaps sometimes to oversimplify the question. Writers nearly always feel neglected and misunderstood. They are very often writing from a troubled place of both impossible insecurity and overwhelming grandiosity that lends itself to slightly paranoid visions of how the outside world is treating them (a perspective which occasionally comes across in the recent New York Magazine profile of Messud and her husband, James Wood). To be fair to her poor interviewer, Messud has written an aggressively, deftly unpleasant character, a character who herself references this unpleasantness, revels in it. So I would imagine the slightly awkward interview question was a clumsy writer’s way of referencing her discomfort, of raising the fact that this character seems furious, seething with resentment. I am not arguing that she was wrong in devouring her interviewer with her superior, more sophisticated literary approach. I am only arguing that her answer was not perhaps the most interesting or fruitful way to respond.